More reports are linking Tottenham boss Mauricio Pochettino with AC Milan. It follows recent reports in the Italian media claiming that AC Milan chief executive Ivan Gazidis, formerly of Arsenal, wants Pochettino to take over at the San Siro. The Daily Mirror say Milan want to replace under-pressure manager Gennaro Gattuso with Pochettino and give him £300m to spend on players in the summer. 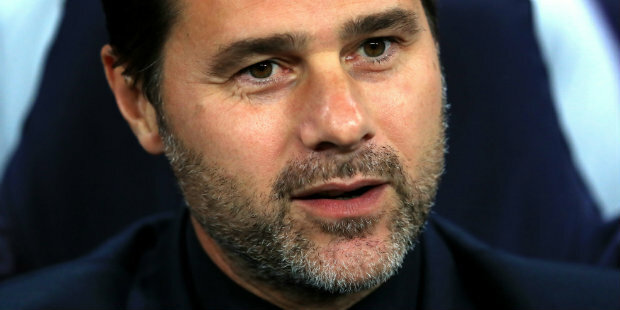 Pochettino was previously linked with Manchester United and Real Madrid, who have since appointed Ole Gunnar Solskjaer and Zinedine Zidane respectively. The Argentine has made it clear that he is happy at Tottenham and wants to stay. There also continues to be speculation over the future of Eden Hazard. The Daily Telegraph say Real Madrid want to agree a deal before the end of the season to sign him from Chelsea this summer. The newspaper say Hazard has no intention of signing a new contract at Stamford Bridge, where his current deal expires next year, and that that Belgian is hopeful a move to Real will happen. Chelsea reportedly want upwards of £100m for Hazard, with Real said to be willing to offer around £85m. And Chelsea have again been linked with Brazilian youngster Bruno Guimaraes. The Daily Mail say Chelsea are interested in signing the Athletico Paranaense midfielder, 21, if they escape a transfer ban. Reports say Guimaraes owns a Spanish passport and has a £34.5m release clause in his contract. Be the first to comment on "Paper round-up: More speculation over future of Tottenham boss Pochettino"